Andray Blatche returns anew for China Kashgar in its title defense of the FIBA Asia Champions Cup, putting him in direct collision with Gilas Pilipinas team. 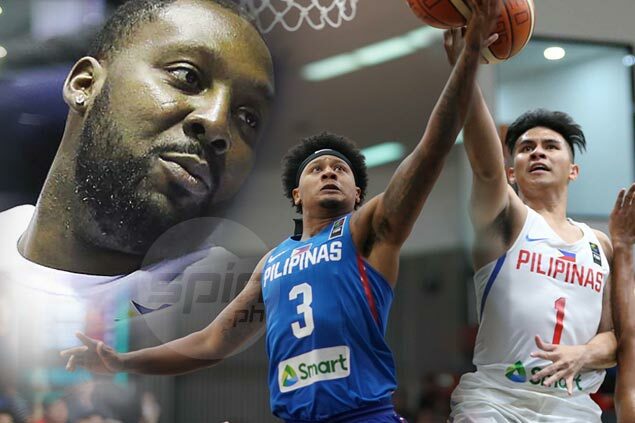 AFTER failing to suit up for Gilas Pilipinas in the last FIBA Asia Cup, naturalized player Andray Blatche now finds himself in direct collision with his Filipino teammates. The 6-foot-11 Blatche will be suiting for China Kashgar as it defends its title in the FIBA Asia Champions Cup set Sept. 22 to 30 in Chenzou, China. Blatche, who turned 31 just last month, was at the helm of the Kashgar’s campaign last year when it completed a seven-game sweep of the tournament to win the championship. He averaged nearly 20 points, 10 rebounds, and four assists. Citing security reasons, Blatche opted to skip Gilas Pilipinas’ campaign in the FIBA Asia Cup in Beirut, Lebanon, where the Filipinos finished at seventh place. The former NBA player will face a relatively young Gilas side in the Champions Cup led by potential top PBA draft pick Christian Standhardinger, Kiefer Ravena, Ray Parks Jr., Raymar Jose, Jeron Teng, among others. Chot Reyes, who announced the Gilas participation in his Twitter account @coachot, will handle the team along with deputy Jong Uichico. The tournament was the same one previously topped by Philippine ballclubs Apcor (1981), Northern Cement (1984), Swift-PABL (1988), Andok’s (1995), and Hapee Toothpaste (1996). This year, the 10 participating teams will be divided in Groups A and B, with each team playing all those in its group in the preliminary round. The top four in both groups will qualify in the quarterfinals.